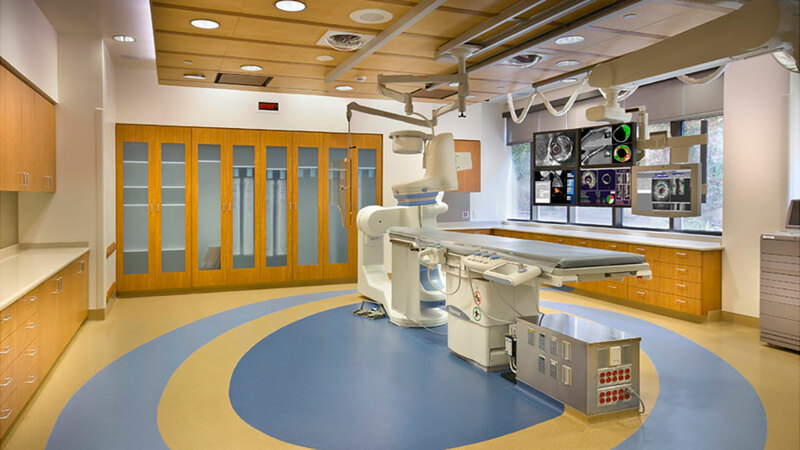 The project consists of tenant improvements to an existing hospital space. The improvements include support and attachment for floor mounted and ceiling mounted equipment. Surveys of the existing structure, as well as above ceiling ductwork and piping, were crucial to meet the schedule and insure there were no conflicts during construction.